Whether you want to treat someone special to a small extra but thoughtful stocking filler or you make a late decision that someone needs to be added to your gift list one of the below five might just go down very well this Christmas with someone you know. 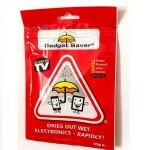 Gadget Saver is an Irish designed first aid kit for Smart phones and all small or medium sized electronic devices. 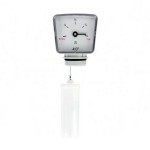 It effectively will rescue your device when it inevitably falls victim to water damage. One of those little things that you never want to have to use but will be glad to have on hand if the need arises. 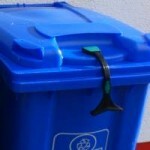 Bin Strap is another useful Irish designed product which ensures your bin lid stays closed and its contents inside even when the wind blows strongly. The Binstrap is now available in three different models bond on, drill on and bolt on for commercial bins. 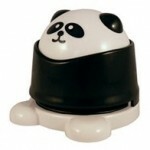 Panda Eco Stapler : So after looking under the desk, in the drawers around the desk, under the paperwork on the desk and spilling an old cup of coffee in the process you eventually find the stapler. You position your pages together, press down but nothing happens. There is no staples in it of course. The search for the staples commences and this could take a while… With the panda stapler no staples are required whatsoever. To use you simply align your sheets, press down and the Panda will cleverly stitch the pages together in a safe and eco friendly fashion. 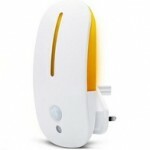 Motion Sensor Night Light from Ecozone emits a soothing amber glow. You can turn it on constantly after dark or switch it to PIR mode which means it will only light up when someone is passing by it. Uses only 1.8 watts per hour. A standard night light uses about 7 watts.